The storied history of overhead doors wouldn’t be the same without C.G. Johnson, the “father” of the upward-lifting garage door and the electric garage door opener. In 1921, he founded the Overhead Door Corporation, a company that now has over 450 distributors and is known for producing the most dependable garage doors and accessories. However, the development of the overhead door began before Johnson was even born. In the 18th and 19th centuries, barn-like carriage houses were used to store carriages in colonial America. Carriage house doors swung outward via hinges, featuring X- and Z-shaped designs to distribute weight and fortify the doors. As the end of the 18th century neared, cars replaced horses and carriages as the main form of transportation. People stored their vehicles in large garages for a fee; however, the increasing number of cars on the road resulted in the construction of personal garages in the early 1900s. C.G. Johnson founded Overhead Door Corporation in Detroit, MI, the same year he invented the upward-lifting garage door. Henry Ford’s Model T had become the first mass-produced vehicle, and garages were built to accommodate the car’s width and size. People increasingly preferred sectional garage doors over those that swung out. The electric garage door opener was invented by Johnson in 1926, which added considerably to the convenience of storing vehicles. By World War II, Overhead Door Corporation was one of the top three sectional garage door companies in the United States. The housing market increased in 1944, as did the popularity of sectional garage doors and attached garages. Commercial and residential garage doors were made of wood, but aluminum doors became popular in 1956, following federal funding for interstate highways. Glass and fiberglass overhead door production also increased by the end of the ‘50s. In the 1970s, the U.S. was home to more than 30 garage door manufacturers. 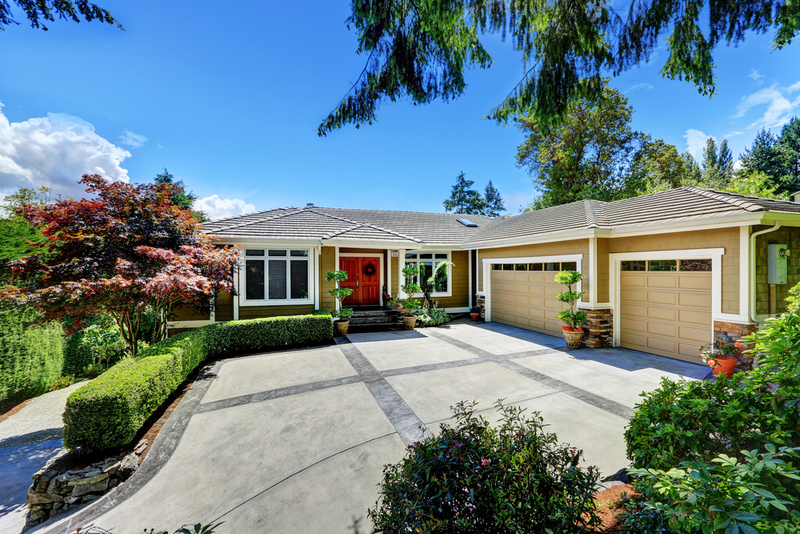 Beginning in 1980, the steel-raised panel garage door took over as the top overhead option. The end of the 20th century saw an increase in new styles and colors as garage doors became a central aesthetic aspect of many homes. Overhead Door Co. of Lycoming County in Williamsport, PA, has been a top provider of residential and commercial overhead doors since 1965. Contact the genuine, original Overhead Door Company at (570) 326-4749 to discuss your garage door project, or visit their website for more information. Like the company on Facebook for great tips and the latest industry news.